The Association is operated by a 3 member Board of Directors who volunteer their time for the benefit of the community. The Board of Directors is elected by the membership at the annual meeting for a term of 1 year. The Annual meeting is held in January of each year. If a director is unable to complete their full term, the Board will appoint someone to fill that seat until that term expires. The Board of Directors elects the officers after the annual meeting. A description of each position is available on the Become a Volunteer page. Any applications dealing with the exterior appearance of the house (such as painting or roofing) must be accompanied with project details or the application might be disapproved for lack of information. Also include a plat map or survey of the property that indicates the project in conjunction to the property lines and easements when applicable. Entergy provides electric service to the Community. Power outages: 1-800-9OUTAGE (1-800-968-8243). Always call to report emergencies and outages. Water Services are handled by Luce Bayou P.U.D. Entergy maintains the streetlights throughout Lockshire. If a streetlight is out or blinking, please call 1-800-368-3749 or visit the Official Entergy Website to report outages online. Trash Service is billed through Luce Bayou PUD. The PUD has a contract with Waste Management for service pickup. 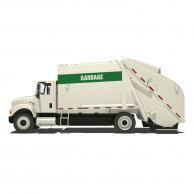 Trash pickup is on Tuesdays and Fridays. For billing questions or to set up service, please contact Luce Bayou PUD @ 713-983-3602.